This is a surprisingly easy recipe with perfect results. I’ve actually made this recipe a few times and incorrectly (!) once and it still came out just right. 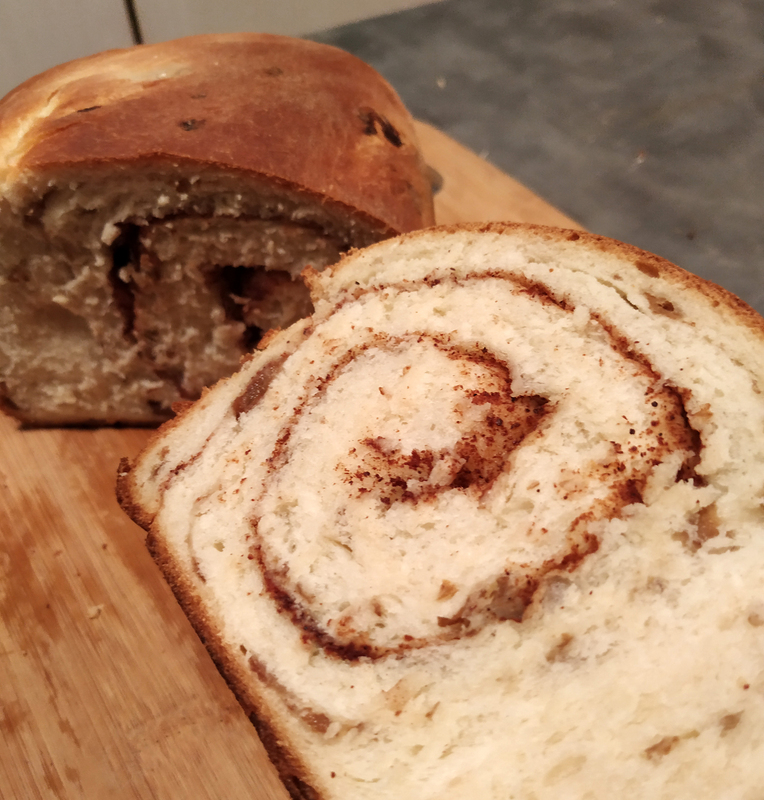 This bread is great on its own and not too sweet but it’s even better with some jam, butter, or even just a little cream cheese to really bring out the savory flavor of raisin. In a large bowl combine the yeast, sugar, and warm water and let sit for 5 minutes until the yeast has bloomed. Add the oil, salt, eggs and flour to the bowl and mix together until a soft and pilable dough forms (if it sticks to your hands you can add a little more flour). Oil the bowl and allow the dough to rise for about an hour until it has doubled in size. Grease a loaf pan. Punch dough down and add the raisins, then roll the dough out into a large rectangle (about 15"x9"). Brush the dough rectangle with the melted butter then dust with the cinnamon and sugar topping. Starting at the shorter end, roll up the dough like a jelly roll and place it seam side down in the loaf pan and allow to rise again for about 30-45 minutes. Bake at 190°C for 30-35 minutes until the top is golden brown and the loaf is hollow when you knock it.